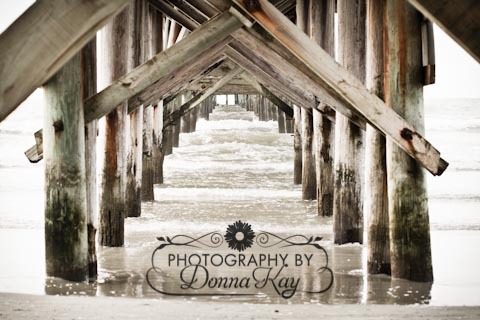 BEYOND Photography by DonnaKay: Under the Boardwalk...or maybe just a pier! 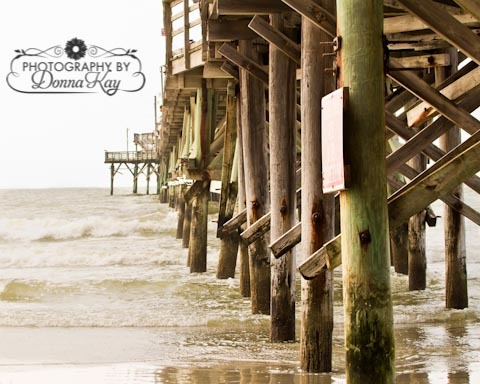 Last week was a gorgeous week at Myrtle Beach. I grew up going to Myrtle Beach every summer. It was where I thought everyone went for their summer vacation. In fact, I can remember taking at least one long trip and several weekend trips through the summer season. 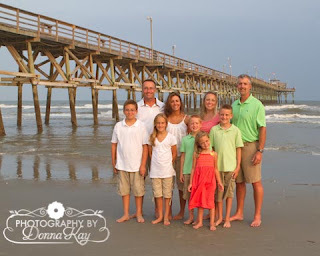 As I grew up I was shocked to realize that many people didn't go there every year, some had never been, and there are some people out there who don't like Myrtle Beach! I have still not figured out what their problem is! For me, there are so many memories held there...actually some good and some bad, but the good very much outweighs any bad memory. This past week I was very fortunate to be able to do photo sessions of two very sweet families - not only on the beach, but under the pier in Cherry Grove. (It has now been deemed my favorite beach photo area!) 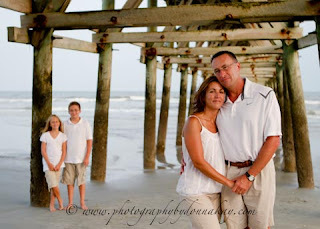 One family I have done photos for before, but the other family I had not had the pleasure to meet before the photo session. Thankfully, they took the word of their friends to book a session with me anyway -- and hopefully I left them very glad that they did. I left feeling like my friendships had just grown and multiplied... which is how I would like every photo session to end! There's just something about a picture under or around a pier that screams out for a little b&w -- and I am all to happy to accommodate that! It just seems so natural that way! 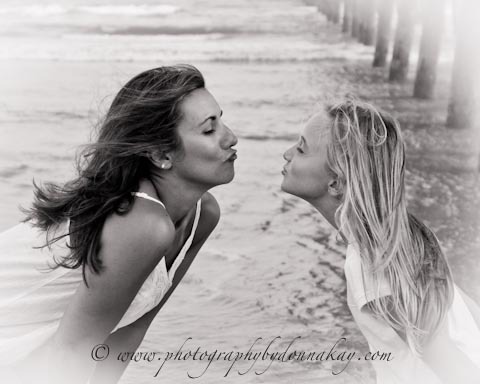 This photo with mom & daughter just makes me feel like I'm intruding on a private moment when they are sharing a special conversation. 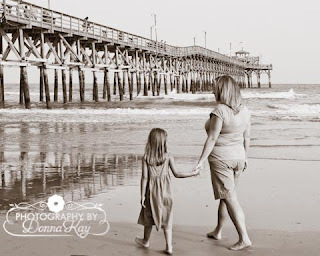 It takes me back to memories I have of those long walks on the beach - especially early in the morning with my Grandmother! This was a special picture between this mother & daughter -- something they have from when the daughter was younger, and wanted to recreate. I loved the intimacy and love shown in the photo. 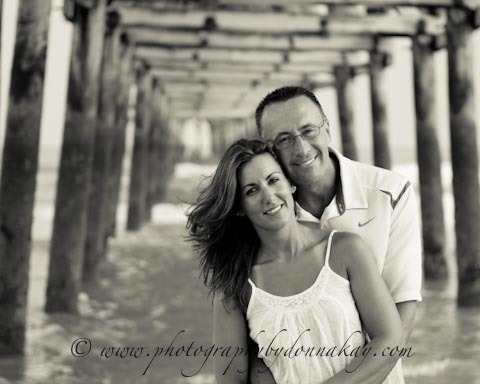 I always have a favorite from each photo shoot I do (well, sometimes I end up with a few favorites!) -- but this was definitely my favorite. I can see this photo being something special for years to come -- and even the day when their grandkids are asking "Grandmama & Granddaddy - when was this?" 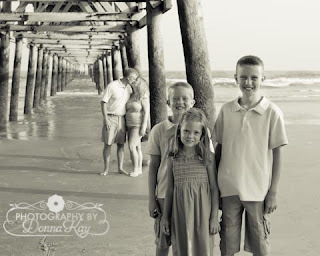 My hope is that this is just one of many photo sessions with both of these families.